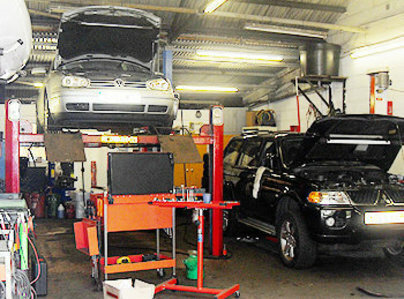 J & S Autos are an independent car and light commercial servicing and mechanical repair garage based near Glasgow Quay area on the south side of Glasgow. Proprietor Iain Lambert has over 30 years trade experience. Due to the quality workmanship Iain’s customers come from far and wide, including Glasgow, Paisley, East Renfrewshire and Lanarkshire areas. Our rates are very competitive and we provide a reliable service. Call J & S Autos today for further information, advice and bookings. I first used this garage based on a recommendation years ago and I've not gone anywhere else since. 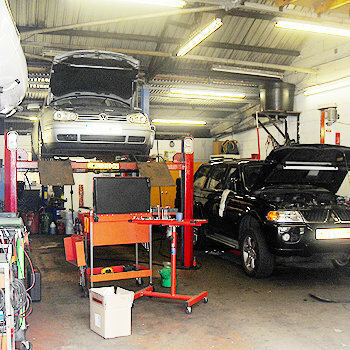 My car's services, MOT's and repairs have all been done by Ian and he's proven to be reliable, trustworthy and a great mechanic! The customer service goes above and beyond and I'd have no hesitation recommending this garage to anyone. Always found Ian's work to be to a very high standard. Very reliable and excellent value for money. I have never had any problems arising from his work on my cars over the years. I will always use his services and I wouldn't hesitate to recommend his services to others. Based on Which? endorsement, I phoned this garage to ask if I could bring my car round to have the power socket looked at, was advised I could bring it in the afternoon. Once there in afternoon, I was told I'll need to leave my car there as it was close to lunchtime. I stated that I could not leave the car. Then, I was advised to bring it in at 3pm. I took it there again at 3, only to be told again that I'll have to leave the car there. I mentioned again that I could not leave the car there. Was told "I don't do things like this with people looking over my shoulder!" Fair enough, but if I had been advised of that in the first instance it would have saved me journeys. I've been using Ian for over ten years because the quality of workmanship and service is beyond excellent. He regularly services my car, carries out MOTs and other odd jobs. Everything is always brilliant, he was originally recommended to me by a neighbour, and I have recommended him countless times since. He is the one to go to for any last minute emergencies, very accomodating and flexible and I really can't fault him at all. His pricing is competitive and he is very reliable, I wouldn't use anyone else. Believe in the man completely! Lost all faith in my old garage and then i found Ian! I have a very old Corsa and he's done everything under the sun to keep it running for me. He is a phenominally skilled man, and i believe in him completely! He is very affordable and i trust him completely. I recommend him to people all the time! Ian has been fixing my cars for a very long time! I'm so happy with the service he provides, he is professional, approachable, trusting and knowledgeable. He goes out of his way to do a perfect job so I recommend him to everyone. I've never had any problems, I get real peace of mind that the quality of the work is always completed to a top standard, Overall Ian is a very honest, loyal and fantastic trader. I'm very happy with the service I receive from Ian, which is why I've been going to him for more than twenty five years! He is a local tradesman, who sorts all my repair work and MOTs for my car. I've never had any complaints, and recommend him most definitely. He is really friendly, professional, knowledageble, and always very very helpful.